If discussion-based assessments make you nervous, these tips from FLVS students may help! DBAs are verbal assessments and are often the most dreaded assignments for FLVS students. Instead of comfortably typing essays and worksheets on their laptops, students communicate with an instructor one-on-one over the phone. But why is this so terrifying? Surely the verbal component of the DBA is not intimidating, especially when the assignments are approached by the instructor as a conversation instead of an oral exam. TIP: Did you know that DBAs can be completed in a live lesson setting or over a video call? Ask your teacher about this option! Learn more in this post about mastering the DBA. However, if you compare talking on the phone for twenty minutes to being the only student called on to answer random questions for 20 minutes in a classroom, you can see why students are reluctant to dial their instructors’ numbers. Fortunately, garnering the courage to call an instructor is not an impossible feat. First, tailor your view of the assignment and focus on the positive aspects: DBAs are meant to test your knowledge, not scare you. After all, your teacher values your education, not necessarily your ability to recall memorized facts. He or she will help you through certain questions – not make you struggle through them. Also, teachers use DBAs as a way of gauging your knowledge so they can help you “fill in the cracks” of your education. Don’t look at it as a terrifying phone call that is meant to make you feel incompetent; picture it as a learning experience! Also, keep in mind that DBAs are not one-sided conversations. They aren’t the equivalent of a multiple choice test. This means that you can use this time to ask your teachers questions as well. If you are ever unsure about something, a few minutes on the phone can save you hours of recorded lessons. Use this one-on-one time to your advantage and ask as many questions about the material as you want of your instructor. If you dread DBAs, never knowing what questions may be asked, and not knowing what to study for, here are our top pointers. These tips should help you survive your DBA – and hopefully improve your score as well. Look through your module and decide what topics are most important. Review the entire module carefully. Study the topics in the module which you struggled with most. Brace yourself when your teacher answers the phone. Who wants to talk with butterflies in their stomach? Make a mini study guide from your notes to study, and highlight the major themes of the module. Never be afraid to ask your teacher questions beforehand – they want to see you succeed! Remember that DBAs are no different from regular activities – in fact, after an entire module, DBAs simply act as a review. Hopefully you are now better prepared to tackle those pesky DBAs, and perhaps see them as a little less troublesome. Remember, your personalized, quality learning experience is just a phone call away. Know your stuff and you’ll do great! This entry was posted in Full Time Edition, Homeschool Edition, Student Edition and tagged Advisement, Assessment, Clubs, Communication, DBA, Discussion-Based Assessments, Exams, FLVS, FLVS DBAs, High School, Online Education, Online High School, Student Experience, Student Support, Student Voice, Teacher Communication, Testing, Tips for Students, Virtual Learning, Writing on March 19, 2015 by Guest Blogger. I know me too o have to take one for my HOPE class and im super awkward over the phone even with my parents. Me too in Spanish i did every assignment and i was left with the DBAS they happen to be very easy and your teacher or at least my teacher helps me when i mess up but i have different experiences with my other spanish teacher . Not my world history teacher. When I couldn’t remember a question, he ended the DBA and told me to go study then call back 20 minutes later. He makes me even more nervous then I should be because he does that. That happened to me today! I wrote down all of the notes from the lesson and none of the notes helped with the DBA. So I looked like I didn’t know any of the stuff from the history lesson and I was so embarrassed! I hate the idea of DBAs but I understand why they’re there. I still dread them though and I hate that I can’t actually see the person I’m speaking to. I agree completely. But instead of holding off my DBA’s and doing them later I’m not gonna do them at all haha. For those students who feel more comfortable seeing their teacher, using video in Elluminate (Blackboard Collaborate) like teachers do for Live Lessons or a similar tool should be possible! Talk to your instructor about other options! I am so happy for the advice! doing a DBA right now! This article was a little helpful. I still do not understand the purpose of the DBA , if we take a review/practice test before and after the module . Why are we required or having to do the DBA? I feel as if its putting more pressure on the student(s) than there should actually be . I am one of those students who will procrastinate at something if i am not willing to do it , and the DBA/phone calls with my teacher is one of them. If you (or other students) are still struggling with anxiety over DBAs, send your teacher a text or email to let them know. They can make accommodations or make it a point to give you the extra time or help you need. It’s natural to be a little nervous before any exam, so they understand! As someone who suffers from anxiety (with phone calls being the strongest trigger of it), DBA’s are, for lack of a better word, terrifying for me. I understand the purpose for these on-the-spot quizzes, but feel there should be an alternate assignment for those of us who are literally on the brink of tears whenever we have a DBA coming up and spend at least an hour going through all the worst possible outcomes of these calls as we frantically study an ENTIRE MODULE with very little direction. DBA study guides that we are provided with are usually practically useless, in my experience. Perhaps a live lesson session could serve as an alternative to DBA’s. However, I do understand that phone calls are a good way for teachers to connect with students on a better personal level. I actually do find the teachers to be kind, helpful, and enjoyable to speak with if there wasn’t the added stress of feeling unprepared and fearing that I studied all the wrong things. At the very least, it seems fair to narrow down the subjects that will be covered during the DBA, which some teachers do. When I know specifically what to be prepared for, it alleviates most of the nerves. I know the teachers are there to help, and I know they want us to succeed. But no matter how many times I tell myself that, and no matter how many successful DBA’s I have, they will always be my only source of stress and anxiety regarding online schooling. I know I am not the only one who feels this way, and I assume the kind staff of FLVS are aware of that, or they would not have taken the time to write this article in an attempt to calm and assist us. However, I am afraid that as long as DBA’s exist in their current form, students will always procrastinate them and be afraid of them. Sorry for being so long-winded, but this is something that has been on my mind for the past 4 years of taking online classes through FLVS. I thoroughly enjoy your courses; the assignments, for the most part, are intriguing and enjoyable, so please take the time to polish the DBA system to make it at the very least, more tolerable for students. yes girl i agree completely it makes me not want to take online classes anymore. Live lesson sessions are now an option! For any other students who prefer an alternative to talking on the phone, talk to your teacher. If you think you’d be more comfortable answering questions following another format, they can offer a different solution. I literally had an asthma attack during my DBA I never feel as terrified as to DBA’S and a lot of times I keep hearing my teachers sigh through the phone as I am trying to answer a question and my confidence level drains all the way down. I complete all study guides and study very well yet they seem to always never ask what is in the study guide but rather their own almost like word question type of questions I hate it , we all hate it, take it out. My Geometry teacher has done Live Lesson DBA’s and I felt 1000 times better. PLEASE RE CONSIDER YOUR DBA SYSTEM FLVS . We’re glad your Geometry teacher was able to make things easier through live lessons. Maybe your other teachers would be willing to do something similar? Let them know you’re stressed and want to be as well-prepared as possible. Teachers really just want to make sure you know the material, but they may also be able to make accommodations so you aren’t as stressed. My teacher tends to sigh a lot too and it also makes my confidence drain. This just makes me nervous and more stressed. My teacher also tries to rush me and barely gives me time to think about how to answer. She always goes, “Hello?? Hello??? ?” And I have to continue to repeat that i’m still working and that makes me feel slow and incompetent. Mine does too and it is harder to concentrate when there are outside noises. I had to close my room door just so I could try to hear my instructor, but sometimes I don’t understand her. Then the next thing I know they will be like “Okay lets just skip to the next question.” And I like to take my time on stuff like this, especially talking to someone I physically do not know at all. But also, when I was about to ask them a question, they suddenly said “Okay go back and go through the module again, then call me back later.” And I was so confused and said “Okay” but she already hung up, so now I am frustrated and I feel as though I am not smart enough to know these questions and answer them correctly. We can see how this would be frustrating! If you’re in an environment that makes it hard to pay attention and you need to move to a new location (or maybe even reschedule your DBA), don’t be afraid to tell your teacher! It can be easy to get distracted and sometimes things happen. If you’re having a hard time hearing the teacher in general, tell them that too. Then the teacher can make sure that he or she is speaking clearly or that the phone’s mic is working properly. Once in awhile, teachers may just not realize that you didn’t get the time you needed or that you weren’t feeling supported. Don’t hesitate to drop them an email afterward to let them know you felt a little frustrated or that you got nervous or wanted more time to answer. Then next time they can be sure to give you the time you need. Communication can go a long way! If you’re feeling like your DBAs are always rushed or you’re frustrated with the way a specific teacher handles them, you can always reach out to the Principal/Instructional Leader to share this feedback. We hope this helps! DBA’s do seem to cause a lot of anxiety for students, and do not seem as helpful as they may be harmful. From personal experience, I dreaded all my DBA’s and wished that there was an alternative. I am approaching my first DBA which will be in my Life Management Skills Class. I am sooo nervous!! I’ve never taken online school before, and I’m only doing it now so I can take a different elective instead of Health next year. How should I prepare for a DBA? I am really scared (and clueless). I have my first FLVS DBA coming up and I’m so nervous! I feel like I don’t know the material well at all, and I know I’m going to be up all night the day before studying (the class is Honors World History). I am currently a senior and I have been taking FLVS classes since the start of my seventh grade year. Throughout my time I have had almost nothing but great experiences. With that being said discussion based assessments are the primary reason I would quit taking online classes, due how nervous they make me. If the purpose of discussion based assessments are to make sure that students are ready for the upcoming test why can’t the format be changed since so many students are complaining about it. My suggestion is that students are required to take a review test worth a small amount of points, and if they score below a certain amount on it they are required to schedule a DBA in order to ensure readiness. Thanks for the suggestion Hanna! DBAs are one of the ways we ensure academic integrity (and make sure that it’s actually you doing the work). This means teachers still need to hear directly from you! Do you think you might be more comfortable if it was done through a live lesson or a video call instead of over the phone? I would feel more comfortable doing a live lesson rather than a DBA. I hate talking on the phone even if it is to people I know and it really stresses me out. Yes, yes, yes! I have noticed a lot of other people said that they would prefer that. Personally, I like live lessons myself. I like to work at a fast pace because I had a surgery that caused me to fall behind in public school so I switched to flvs. Unfortunately, these DBAs leave me studying for hours on end to get a good grade and I’m most likely switching back to public school because of them. Live lessons should now be an option! I hate DBAs im not going to lie. I secretly do love learning all the stuff I do from online classes and I’ll do assignment after assignment no big deal. But I’ll procrastinate an entire day when I have to do DBAs I get so nervous, even if I do well on all the tests and reviews I end up forgetting everything. It’s like the test anxiety I get at my actual school. I do wish there was an alternative where I could learn rather than answer on the spot questions. That would be a lot less stressful. No if it were video chat that would be even worse for me! I have a back to back DBA in History and overtime I talk to my teacher I say umm and freeze and don’t say anything and I’m not a shy person at ally in general I love talking but for some reason it’s weird idk my teacher so I don’t know how to react he is a good teacher but that doesn’t help my anxiety!!! Well i have a DBA in like 2hours for physical science and i am so scared. I always get nervous doing these oral exams. I remember having to drop out of a class and get withdrawn from another because i would always try to avoid the DBA’S. If it were face to face i would’ve never done flvs. I love talking and I’m not that shy but when it comes to a teacher asking you questions i panic. I am a student, and each summer I take a FLVS class and the DBAs are literally the worst. I am a social person and I love talking to literally anyone, however, the pressure that is put on me and other students makes you not want to even complete the course or the assignment left and it gets to the point where I dread logging on. If the point is to enforce the skills and make sure the students are understanding then there are better ways to accomplish this task. Having to let the stress build up for a 25 minute conversation about a whole chapter seems outdated and not effective, considering my personally experiences. i have a question i took this course when it was summer and i just finished middle school and I’m in high school and i take algebra 1 but in the online course I’m taking pre-algebra can i just drop out of the course since i don’t need it? I’m not done yet but can i do that?????? thx. I also believe that the FLVS DBA is a very ineffective tool of teaching and it should be abolished. I just got done with a DBA, mind you I didn’t finish it because my teacher was crammed with students that needed to take them. I got through the first question and she had to let me go. Which I am fine with. I hate DBAs. I take forever to answer the question because I am trying to write them down to understand it better, taking a foreign language by the way, since I can read it better than hear it. I do decently in the class but then I almost break down over DBAs. I know that a live session or an in person DBA would be even worse because then I would be more stressed seeing their eyes on me the whole time. Learning a language is super hard for me, I end up with major headaches on some assignments and if this is the kind of stress that is going to be put on me through the whole class, I am nearly tempted to quit. That would mean quitting on my dream to become a vet since the university I am going to requires two years of a foreign language. Why? I have no idea. I’m new to Flvs and I had my very first DBA today and it was for algebra 2 and I didn’t know what to expect. I didn’t know the first question and didn’t understand the second question. Then they asked me if I read the lesson or just skimmed through it and it felt like they were accusing me of not reading the lesson. By that time my voice was shaky because I was trying to hold back tears. When we ended the call I bursts into tears. Eventually I calmed my self down. Then later today I was thinking about my DBA tomorrow for chemistry, I bursts into tears again, freaking out telling myself that I can’t over and over again. I have an IEP that states that I get extra time on work and tests but there’s no way I can get extra time on DBAs. I don’t think I’m ever going to be able to do DBAs with out bursting into tears. And I can’t go back to public school because I travel to much for dance. I’m tearing again right now just thinking about my DBA tomorrow. Oh no, that’s no good! 🙁 We want you to feel supported and encouraged by your teachers, so maybe we can help. Please reach out to us so we can talk a little bit more about this! Send us a message on Facebook or Twitter or email socialmedia@flvs.net. My very first DBA was in Algebra 2 as well!! When I was preparing for it there were two Module 1 questions they had provided which I wrote down and answered in my notebook. Keep in mind that I’ve always been very good at math, and had gotten a 100 on the module 1 practice test without even touching my notes. Knowing all of this, I thought I would do well on my DBA, but it was literally the worst DBA I’ve ever had. Most questions the teacher asked had nothing to do with the questions I used to prepare for it. The questions asked didn’t make sense to me even when I asked the teacher to repeat them twice, and there was no actual problem-solving that had to be done (in other words, it was very different and didn’t prepare me in any way for the actual test). Thankfully, the teacher was very nice during the call. With that experience I learned that when completing an Algebra 2 DBA, what really mattered is how many notes you have available, not the actual knowledge you acquired. All I can do is hope that those DBAs are much more different now. Now I’m taking Pre-Calculus and the DBAs are 1000 times better. I do walk-in DBAs and the questions are available for me to read on my computer screen and the teacher leaves me alone for a few minutes to answer them. One of the biggest differences is that rather than being asked questions on the spot, I have time to think through how I want to answer a question. And most important of all, I actually have to solve math problems (which is what the test will ask me to do) in order to complete the DBA. I feel so much more comfortable preparing and completing the DBAs! I’m glad there’s other people out there who feel the same way about DBAs! I think there should be alternative assignments for students who struggle with doing the phone calls. Please consider this! No matter what people say, I believe DBAs will always be scary. FLVS should have REAL DBA study guides for students who struggle with anxiety, nervousness and etc. (even just for regular students). It should include around 10 questions the teacher might ask and the student can prepare on those topics before talking to their teacher. I find it funny after reading all these comments how FLVS has still not made any changes with DBA to help the students who actually have serious problems. The concept of DBAs is reasonable, but please consider study guides with questions the teachers may ask, seriously. I’m a VERY VERY shy person so DBAs are like going on a 9000000000 ft. tall rollercoaster! But, this helped calm my nerves down for my DBA today. I currently have to do a DBA in 20 minutes and I’m SUPER nervous about it. After reading these comments, I feel a little better knowing am not the only one that goes through this. But I highly recommend that flvs changes DBA’s to live lessons. It would be such a great way to help students learn and relieve stress. Please flvs!! I am a freshman who started my first year of homeschooling and I want to go back to school . We should find a way to make it comfortable for everyone. I hate hate hate DBA’s I have had anxiety attacks over them. I have one today that I have been putting off for a long time. I have never done a DBA live. How does it work and why do you like them better/ don’t like them? After reading these comments, I no longer feel like I am the only one who dislikes DBA’s. I have a French 2 DBA ina couple minutes. In my opinion, there is so many ways this can be revised and bettered. For example, a study guide of the possible questions that may be asked would ease my, and everyone else’s anxiety. This is my second year doing FLVS, and DBA’s are my biggest nightmare.Last year I was able to do live lessons for my French DBA’s and I felt I learned easier and got more enjoyment from the subjects, because I didn’t have the stress of a DBA. I complain to my parents and friends about having to do them, because it will be an all-day stress. I do understand the academic integrity involved. But, live lessons or even a study guide would help tremendously. Ugh and just finished my last DBA well not really? I answered all the questions to best ability, so of them were personal ones about my family and my achievements? Its a parenting skills class and I need to take flvs to graduate. I have horrible anxiety and really tried, but my teacher wouldn’t give me my exam password, until she talks to my dad because she feels my on the spot answers were different from the ones I wrote down. I dont know how anyone could remember everything exactly on the spot? Or even give the same information when you haven’t even looked at the module in weeks because you’ve been procrastinating about the dbas. I wish there was a simple written alternative, instead. How is a voice on the phone proof of academic integrity when it could be anyone? A friend taking a similar class at public school willing to do them a favor, for example. Teachers will be referencing the work you have done and speaking to students (and parents) multiple times throughout the course, so there is a common thread of communication that helps teachers connect a face (or voice) to the same student they see (or hear) in live lessons and through submitted work. i would rather be dropped to be honest the only reason i complete them is because they end up calling my parents. i love learning just not talking on the phone or talking to people which is why im in online classes. A little late to the party, but I just wanted to say, I completely agree with those who said we should be able to choose either DBA or Live Lesson. I am another student with anxiety, and let me tell you, I count down the exact minutes until my teachers are supposed to call, and make sure I have my notes out, the course pulled up, etc. I have never told my teachers that DBA’s make me nervous. However, when I get on the phone, my voice is audibly shaky. I also have a hard time deciding things, so for my teachers on the phone to make me pick a topic to review/a fictional character to apply psychological disorders to is hard. I actually prefer when the teacher chooses those kinds of things. I also cannot stand the dead silence on the other end of the phone as I’m struggling to remember something and start nervously laughing. I ended up taking a year (summer to summer) to finish one class because I dreaded the DBAs. One thing I would recommend, is if FLVS is so bent on keeping the concept around, don’t make the grade about how well you know the material. Make it a completion grade. Your teacher can advise you to look back over certain questions, give you tips, and not give you the test password until they feel you are ready. I always hang up after DBA’s feeling completely drained and nervous because I had to ask what something meant again or how to graph something properly. I usually cry and can’t get myself to do much for a bit. Then, to log on and see that, after all that work and anxiety and panic that I only got a 60% because I missed a couple things that I thought the teacher would work WITH me on… it’s just awful. I hope I never have to take online classes again, as I can’t stand them. Please change this one aspect to better suit the kids you are trying to see succeed! Every single thing you said here is literally the FLVS experience. I go through the SAME exact thing! DBA’s literally make me cry. I am an introvert. I rather write out my feelings than talk to someone about them. Same applies to my work. I feel like a failure when I try so hard to study and I get a bad grade anyways because I didn’t know what questions they were going to ask me. I have literally laid in bed crying, stressing and being overwhelmed over the fact that I failed at something I prepared for. Like things on the study guides are not even what they ask majority of the time. This one time I guess I did awfully and my teacher just said try next time and that’s it. However, I texted her hours later after my breakdown and mentioned how I’ve been stressed and just told the truth. My next try she asked me easier questions due to my needs and I was ok. I was proud of myself because I did a good job. Talk to your teacher if you would prefer to do your DBA the same way live lessons are done! I have a DBA in a few minutes and I’m having an anxiety attack. Everyone I take my teacher is rude and when I don’t know the answer they sigh and right away say their gonna call my parents. They never explain the answer to me even when I ask they just say i need to study more and that’s it. I wish there was another way to do them or just not have them at all. I have to take meds for my anxiety because it’s unmanageable and I have finished literally everything for my algebra class, except he DBA’s.. I finished it all in month and since then I’ve only done 2 DBA’s and cried before and after. I was supposed to take he module 3 DBA half an hour ago but I went into an anxiety attack and couldn’t do it.. I seriously think there should be an alternative, and not just one that includes my voice or face, but maybe like an instant messenger, that would be a great alternative in my opinion, and though it’s still on the spot, I don’t have to freak myself out.. I can still stay calm and do everything the same as over the phone, but instead of my voice, they get my messages! Is there a way to recommend that to anyone? Yes, definitely! Talk to your teacher about this. If you struggle with anxiety, that’s really helpful for the teacher to know so they can do everything they can to help. You can discuss other alternatives, including IM (skype), facetime, or other options. I was actually here looking for a policy of how late is too late for a teacher to not call for a DBA. I hate not knowing what questions there will be because it is too much pressure for me to answer up front questions. There are so many students here who are giving feedback and FLVS is not making those changes. One of the students made a valid point about the way DBA’s are graded. FLVS said themselves that DBA’s act as a review…. but the teachers treat it as a oral test. If it was considered a review we, students, should be able to be graded on completion/participation and not what we know. If we do not know something the teachers can advise us what we can do to learn the topic better. DBA’s are overrated. I like them because I get to ask my teacher why I got something wrong, but I don’t like them because they are too nerve wrecking and dysfunctional. I’m close to finishing my second course with FLVS. Last year, I took Latin 1. This year, I took Latin 2, because I enjoyed the former so much. My Latin 1 teacher was a sweet and caring woman. She had the sort of voice that evoked images of apple pie cooling on a window sill, and the questions that she asked were neither too difficult, nor too lenient — if you got it wrong, she explained it to you, and you always left knowing that you both knew that you’d learned what you needed to learn. She was a kind and good-natured human being. I cannot say the same for my Latin 2 teacher. He is curt, and his voice is a very pressing one. I concede that he makes certain that his students are learning, but there is little kindness — and I say this in fear of sounding as if I’m exaggerating, but I must stand by it — or humanity. Six months ago I had my first DBA with him. His were nothing like my last teacher’s, and the course did not tell me what to expect. He was UPSET at my not knowing exactly what he was looking for with respect to DBAs, which, of course, made me feel as if I were the failure of the communication. Logic tells me that I wasn’t, but my emotions could not acquiesce to the insistence of my logic. Every DBA since has been a nightmare. My Latin 2 teacher, make no mistake, is a good teacher. But he is not a kind man. But, surely, being kind and being a good teacher cannot be mutually exclusive qualities — can they? FLVS teachers work very hard. They work long hours and can never be certain if their students are cheating — and they have many, many students. They’re very stressed-out human beings. I know, though, from experience, that they’re not all mean people as a result of their working conditions. I’ve had a kind instructor. I’ve had an unkind instructor. As a senior in high school, Latin 2 will be my final FLVS course, and, if I can help it, it will be my final online course, ever. Latin 2 has deterred me permanently from taking online courses, and it has scarred my love of language — but not indelibly. I’ve studied through three years of French and have taught myself Spanish, and Latin, save my current instructor, has been an absolute joy. But I will never recommend this course, to anyone, and all because of those nasty little DBAs. Change the system. Students 1) procrastinate, 2) feel extremely uncomfortable, and, 3) lose motivation, passion, and love for subjects when subjected to these verbal tests. FIND A SOLUTION, I BEG OF YOU. I do not speak for myself; I am waiting for my teacher to grade my final exam, and then, I will be done, completely, with FLVS. I am free of DBAs, forever. But other people are not, and that is why I am taking the time, now, to ask the powers that be to do something about this. I am an outgoing person. I have never been diagnosed with anxiety problems — indeed, I have never felt so anxious over academia until this course began for me. There’s something about this sort of situation in itself that seems to bring out the worst kind of nervousness in human beings. I do not know what it is, but we ought to stop it. I found this topic by chance, after reflecting over how much stress the DBAs have caused me over the past half-year. I’m glad that I am not unique in my struggles. I am also glad to be able to articulate my thoughts on what I know is a flawed system in a place where others can read them. I cannot be certain, though, that my words will be heeded. May providence or fate or whatever or whomever you, the reader, believe in be kind to you as you march forward with these dreadful DBAs. This is a very thoughtful comment and we truly appreciate the time you have taken to share your experience and feedback. While the DBA experience may vary slightly between teachers, our forms of assessment are always under discussion and this provides valuable insight to share with our leadership team and the Instructional Leader for this course. After having a positive experience, we’re so sorry to hear that your most recent course has been a more negative one; this is certainly something we want to prevent and address. I have three DBA’s to complete today and I could not be more nervous. I try to postpone DBA’s till I am required to do it by my teachers asap. I get really nervous over the phone and my brain shuts down completely. I’m aware that the authrities answer the students who want a change in the system. All you simply do is agree. But no change takes place at all. With all due respect to the authorities of flvs, you should not agree to something if change is not going to take place. Think about the students. I would fully enjoy being home schooled at flvs if it weren’t for the DBA calls required up to 4 times each segment. Please, try to make a change. Like it was mentioned before, maybe try a live lesson instead of a DBA or a video call. Take it in consideration. Thank you. I just wanted to state that almost every single comment below states whether people procrastinate to do their DBA’s (me included) OR that they are just really nervous to complete them. I personally get anxiety attacks when i am on a call, so i always complete my assignments first, and leave the DBA’s till last. It is currently FEBRUARY and i have DBA’s that were supposed to be completed in NOVEMBER! Yes, i understand this is my responsibility but we all have reasons as to why we dont complete them, and most of us just want them to disappear! I think FLVS should have some sort of alternative to those who have real problems like anxiety, and high stress levels. i have tried to speak with my algebra teacher about this and she finally gave in and let me do a live lesson with her. I will NOT be doing FLVS next year DUE to DBA’s. Yes, that is how badly they have affected me. Step up your game FLVS! I also forgot to say that i extremely enjoy learning and taking my classes. I have never enjoyed doing my assignments until i joined FLVS. You’re doing a great job with the classes, but the DBA’s are such a big factor of this school that they have prevented me from joining this school for another year. You always agree that these dreadful calls are nerve-wrecking, yet we all see no change whatsoever. I believe that in the future, if you do not change this, you will be losing students just like myself. I cannot be the only one who thinks like this. Your aren’t the only one I know exactly how you feel. I am the same way. I feel like my teachers hate me well atleaste some of them..
For my DBA’s, I’d rather have the instructor send the questions to me and I would call them to answer it because sometimes it is hard to understand what she is saying the first time I called her. So now I am nervous on calling my Driver’s ed instructor because I don’t know what questions she is going to ask and if I’ll remember them or not. So I’m just suggesting that instead of the instructor asking me questions to text them to me instead. Sometimes it helps to have a study guide or a little prep time. Even though the teacher probably can’t give you all of the questions ahead of time, they can definitely give you an idea of what to expect. Talk to your teacher to discuss the possibilities and determine if this (or something similar) is an option! Some students are also more comfortable answering questions using the same format as a live lesson or something like skype. You should be able to find their contact information on your teacher’s announcement page. Reach out and he or she can help! With my Chinese teacher, I will wait until there is no other option but to call. It’s terrifying, DBA’s alone are enough to send me into a panic, but add on the harshness of a language and a teacher who scares me, the day I have to to a DBA is often the worst day of the week. Speaking the language is a great way to practice, but let your teacher know if you would rather do your DBA “face to face” in a live lesson environment. Your teacher is there to support you! If you’re not feeling like that’s the case, this is valuable feedback you can share with the Principal or Instructional Leader. But first, be sure to let your teacher know how you feel or how they can help! I understand why teachers have students do DBA’s, but personally, I feel like they should not be required. I also understand that most people get “stressed” when it’s time to take an exam, but having anxiety is more extreme than a little bit of stress, anxiety is a mental illness. Whenever I do DBA’s it results in an anxiety attack and it’s very embarrassing and humiliating. I decided to take online classes because my anxiety was interfering with my work in public school. In middle school, I wasn’t required to take DBA’s, but now in my high school classes it’s required and I feel like there should be an alternative. Is it possible to do a DBA over messaging instead of having to video call or phone call a teacher? If there is not a choice to do this, then there definitely should be. Not to mention teachers say that the DBA’s act as a “review” and that it’s a casual discussion to help with your exam, but these discussions are graded and they mark you down if you miss a small thing. In my anatomy class, these discussions are worth almost 40 points on just a 10-15 minute call, it just doesn’t seem right to me. I’m not trying to be rude for the most part I enjoy my FLVS classes but I wish there was a way to make these DBA’s not a requirement. Yes, there are alternatives! Ask your teacher about answering questions in a live lesson environment. If you are having anxiety and this was a concern for you in traditional school, be sure to mention this to your teacher (or have your parent/guardian talk to them) to see what other options are possible. We’re currently working on arranging a Facebook Live Q&A about DBAs to help students understand their options when it comes to discussion-based assessments – and to make them a little less intimidating. Stay tuned for more info! I always get the nerves before doing a DBA but I am fortunate enough that my instructor will not let me fail, if she has to explain the whole module to me again she will. My FLVS instructor is more then a teacher to me, she is a friend and someone I trust. She is not just here to talk about math, anything that I am struggling with she is here to talk about. Just remember when you are about to do a DBA, don’t be afraid to ask questions and don’t be afraid to be yourself. Your teacher is here for you and wants to see you succeed and won’t give up on you!! For all of you that are struggling with the anxiety of DBA’s keep your head up, be brave and stay strong, the whole FLVS community believes in you and they want the best for your education. How does a group DBA or live lesson work exactly? For the people who have done this; is it less intimidating? I have one coming up this Friday and it’s going to last a full hour and I’m terrified. Think about it being a little bit more like answering questions in a traditional classroom setting. Don’t be nervous, your teacher is there to help if you need them! Be sure to share your feedback with them if there is something you think he or she could do differently. Talking over the phone has always been hard for me but the more I do the DBA’s and get it over with the more comfortable I am becoming with talking on the phone. It’s really hard and maybe a bit scary at first but the more you do it the more you get used to it and it isn’t as bad. Hi Lauren! Don’t be nervous…you’ve got this! Remember that your teacher is there to help. We’re actually hosting a Facebook Live Q&A about DBAs next Wednesday too! This is your chance to share your feedback, ask questions, and talk to other students about discussion-based assessments. Find more info and other great tips in our new blog post about DBAs here: http://blog.flvs.net/would-you-rather-the-dentist-or-a-dba. How about trying to do a dba for algebra 2 honors when you pretty much have no idea what your even doing. It’s dreadful I have like 4 dba’s just sitting in my assignments folder right now. I was told by my teacher if i do poorly on one more I have to take a state administered academic integrity test. And if I fail I get kicked out of my class. So dba’s are not always something you can just learn to do. I have social anxiety, it’s mostly the reason I’m doing online school. These DBA’s are absolutely horrible and very unnecessary. It’s gotten to the point where I’ll barely do an assignment a week just to put off the DBA’s. The very thought of doing one is enough to send me into tears. The last few DBA’s I’ve done ended with me having panic attacks. If I know I have a DBA coming up I’ll dread it days in advance.I really hope for future students, ones like me, that they won’t have to go through this. Um so I just wanted to know do we get graded off of DBA and could they drop your grade? Also with the live sessions that could be a alternative, can our teachers see us like we can see them? I’m curious because I’d personally rather do a over the phone if I can be seen. I’m a super awkward person If I don’t know you so thats my reason for asking. Hope I get a reply from you FLVS! So there’s been some posts about a student having anxiety because of DBAs and because of it they aren’t able to really do a DBA. I’m sort of glad that I’m not alone on this but is it possible for a teacher to refuse to give you an alternative? Like if that were to happen, what do I do? Is there a replacement for this? Any sort of conversation (Even with my family! )that isn’t text or physical, is very nerve racking for me. I am very anxious to talk to anyone on the phone or over Skype(or anything like Skype for that matter!) and this is stopping me from gaining any credits i will need for college! Is there any replacements I can use instead of calls? Yes! Check out this post for more options you can discuss with your teacher: http://blog.flvs.net/mastering-discussion-based-assessments-dbas. We can also help you get in touch with your Instructional Leader to share this feedback and ensure you are given options or alternative ways to communicate with your teacher for your DBA. Or you can reach out to your IL directly (their contact information will be on your teacher’s announcement page) to explain how you felt and what happened. Right before my DBA, I had an anxiety attack so I had to abruptly cancel it. I usually cry before most of my DBA’s because I am so anxious, and sometimes my mind goes blank during it and my teacher gets impatient with me. It’s very tough for me to do, I wish there was some kind of alternative. What I usually do to calm down before DBA’s is I tell myself “it’s okay if you mess up, nobody’s perfect” or “I’m not the only one who feels this way, it’s normal”. Hey Angelina! This is a common feeling, but we want to help you however we can! Check out this blog post for more info about some alternative ways to do you DBA: https://blog.flvs.net/mastering-discussion-based-assessments-dbas. When ever I do DBA’s, my mind freezes and I can’t remember the correct answer to the question being asked, even when I have my notes. I just stumble through my words until I give up and have the teacher tell me, and then I smack myself, because I knew that. I’m not very good at talking with people in general, and I hate talking on the phone, and I feel like I make a big stupid fool of myself. I have anxiety and not much confidence, so I wake up early in the morning to study EVERYTHING, but when I do the dba, it was really simple! My heart beat didn’t beat as fast after my third time, and the teacher was really nice when I couldn’t think of a name for a place! There were only a few questions and it didn’t feel like an interrogation. Even though the other teachers were nice, it’s burned in my mind about all the negative things and what ifs, but knowing it’s not bad still helps little by little! I thought that I was crazy and that I was the only one who was completely freaked out over having to do DBAs! Same! What I have been doing is taking as careful notes and then I just forget when she/ he asks me! Now I just take notes and I think to myself, ” What’s the worst that can happen?” and that usually actually kinda helps a little. I just figure I won’t get any right, but I’ll just get my grade back up again. I’m going to leave the truth behind DBA’s. So I left FLVS and went through a different online program because of DBA’s. I graduated there and graduated college in January. I must say, out of 13 yrs in HS and 2 yrs in college, DBA’s were the worst most unnecessary tasks that I’ve ever completed. Seriously-they were worse than finals. It caused me so much anxiety during HS that I had to be put on anti-depressants/anxiety meds. Yeah, it was that bad. I had one particular algebra teacher who shouldn’t be teaching. Not saying names, but she is the only teacher I had issues with. She loved to be mean. I’m 21 now, and I still believe that to this day. (No, it wasn’t my angry teenage self thinking she was mean). She really was mean. She was not looking out for the best interest of her students. She just wanted to see the students fail, that simple. DBA’s did nothing but cause me anxiety. If I needed help, I would have set up a phone call myself. And the only reason they do DBA’s is to see if you’re cheating or not. It’s not for your use. 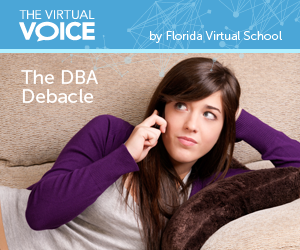 I wouldn’t consider going through a FLVS school if they require DBA’s. It’s not worth the pressure. There are many other schools out there that don’t require this ridiculous crap. Thanks for sharing your experience, Samantha. We really want students to see the DBA as more of an open conversation with their teacher, but we know they can be intimidating. Some of our students appreciate doing DBAs over a video call or in a live lesson setting instead. If a student struggles with a specific teacher or doesn’t find him or her to be supportive, we encourage communication with the Principal/Instructional Leader so this can be addressed. Best of luck in the future! 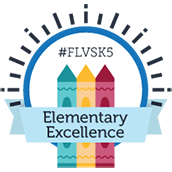 I myself have been a part of FLVS for multiple years now (all of middle school, and now in high school). DBA’s are one of my most dreaded assignments. Though it occurs in some classes more than others, its a much to common occurrence with myself and other students for that matter. I often find myself writing long-winded notes, watching all the help videos, going to tutoring sessions, using the study guides and more, even in some of my best classes. In some of my more difficult classes (even those I have good grades in), I find myself stressing for days prior to the DBA. In one of my classes, which I struggle with a bit, I have gotten to where I am on the break of tears and can barely speak prior and during a DBA. Now don’t get me wrong, I understand why we have DBA’s and I think they are very important, however, how they are gone about aren’t always the best. 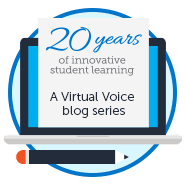 FLVS does provide alternative options to over the phone (which strikes anxiety for a lot of students), like live lesson formats. Unfortunately they aren’t properly put out there for the students. Sometimes they aren’t shown on the homepage or in schedulers and I’ve noticed that the teachers don’t even mention them. This causes students to have to ask, which for some students makes them uncomfortable (feel like they are bothering the teacher), and just plain out sad, because they feel they aren’t smart enough or strong enough to complete a DBA via call. The options should be put out there more efficiently, for example having an option in the scheduler or having the teacher bring it up as a valid choice. I know some students who joined FLVS due to anxiety issues and the DBA debacle is not a positive aspect of there FLVS experience. I would also like to point out the teachers position on the calls (and I have even noticed it in the live lessons as well) the teachers can act overly superior. Obviously the teachers know much more than we do, but them sighing as we struggle to answer questions, giving us little to no time to answer, and not listening to our feedback, is uncalled for. Now again please don’t get me wrong, some teachers are magnificent and make the DBA’s an enjoyable experience (for example my English teacher) but others not so much. I myself have been quite lucky with my teachers, but that is not the case for many other students. Another point I want to discuss involves my experience with the DBA’s. Though I read through every lesson, write thorough notes, spend hours upon hours studying, I still get anxiety leading up to my DBA. I have an issue with the study guides provided. In some of my class they offer basic questions or an array of questions that are going to be asked on the DBA or are similar to those which will be asked, however not in most of my classes I have had. I have noticed, I do better when I have the specific notes, because I’m not in my own head as much, I feel more prepared. I have seen FLVS work on this and my teachers improve there study guide, but its not as much as I would have hoped to see by now. Well I apologize for this extensively long comment, please fellow students enjoy these tips on how to improve DBA from student to student. *Ask questions and be honest* As hard as it may be, I promise this will benefit you in the long run. I also have trouble asking for help, so take it from me saying “I dont get this”, “Can you explain?”, “I just guessed”, “I struggled with this module” will be beneficial in the long run. *Have notes and be ready 15 minutes before the DBA* Doing this will give you time to briefly go over the contents and help you to relax (even if its just a little bit) before the teacher calls. *Ignore the distraction* Make sure you are in a quiet room, with as little distractions as possible. Most teachers work from home, so they might talk softly for many reasons, lessening your distractions will help you to focus better on what the teacher is saying. Also ignore a teachers sigh or there typing in the background, they arent always aware of how that is affecting you. *Don’t be afraid to reschedule* One of the most comforting facts for me, is that you can reschedule even during the DBA. If you get to a part, where you feel you were just to unprepared, maybe something else came up, proper or necessary notes aren’t working, or any other issue, dont fear asking to reschedule. *Don’t be discouraged* Although this is quite vague, whether it is nerves, or your mind going blank, or not understanding a subject, or an nonsupporting teacher, there is no need to be discouraged. You are still a bright, young student and one question or one dba wont change that!! *Talk to other students* I know this is a weird one, but if you are really nervous for a DBA, discussing your issues with another student who is going through the same thing, is so helpful. Trust me when I say, you are not alone and many, many other students struggle with the same problem. Get there input on what help and what doesn’t. Also check out peer tutoring(not all classes provide this) but a lot do and with my experience its so much easier to get the proper note with a fellow student who is/has gone though DBA’s themselves. Thank you for taking the time to share this valuable feedback. We love your tips and tricks and would love to include them in a follow-up post if that’s ok with you! Yes, that is perfectly fine! Why can’t dbas just be replaced with exams? The questions the teachers ask are scripted anyway. Just put the same questions in an exam. It’ll be WAYY easier for us students. I am a senior taking world history on flvs because I moved to Florida from Massachusetts my junior year and we weren’t required to take it if we took ap human geography (which I did). I blew right through all the assignments but the dbas are what is keeping me from finishing segment 1, let alone 2. I have horrible social anxiety and phone calls scare me more than anything on this planet. Tests also stress me out so it’s two things that cause anxiety rolled into one monster. I have put off and rescheduled multiple dbas because I was having a full blown panic attack about it. I wish that these weren’t a thing. I just don’t understand why I am being forced to interact with a teacher I will never meet face to face more than I’ve ever had to interact with teachers I see every day. It’s really inconsiderate to the students who have anxiety. Hi Noelle. We understand this is tough for a lot of our students! Ask your teacher to see if you can complete your DBA over a video call or in a live lesson setting. Think of it more like a conversation rather than a formal assessment – this may help! I’ve done a couple dba’s in the past for an elective and it was somewhat tolerable, however I just did the first one for this school year, and to make it even worse it was for French. I have terrible social anxiety and I ended up completely breaking down once it was over despite it only lasting about 5 minutes. Even in my other ones that aren’t a foreign language I panic and I’m not sure I can make it through anymore. I might ask about doing a LL format but I think doing dbas over text would be a lot better for everyone who goes through this. Is this an option? Hi Ariel, I completely understand this! I am taking French 1 this year and the DBA’s are my most dreaded assignment, I always find myself postponing it or panicking before, during, and after . I would highly recommend the live lesson format if its available but if not I would suggest telling your teachers about your anxiety and seeing if they offer an alternative (some classes/teachers will do it via a different format to make the student more comfortable) As far as I know texting is not an option (unfortunately) and I’ve never known a teacher to do it via text but I hope they may start something similar to that soon. I wish you the best of luck!! This is sad, the amount of comments Ive read on here and not one good comment about DBA’s. Im with all of you, I dread them and they make me very nervous and i put them off for days and im behind on graduating because i put them off so much! FLVS please listen to all of these comments students are making because its time for a change!! Hundreds of students have voiced how much of an emotional drain these have on them. i understand the idea of DBA’s but they don’t do anything but cause tons of stress for students since most teachers treat them as an oral exam and take off points if you get the smallest thing wrong, for example on my anatomy DBA a couple weeks ago my teacher gave me a 70% since i got one question wrong even though she kept me on the phone for almost an hour and i got every other question right. FLVS please listen students are crying out for help, please help us and make a change!!! Our teachers are working to offer other ways of doing DBAs depending on the course and grade level. Don’t hesitate to ask about this! I understand that DBAs are important to have so you can review, but if this many kids get so worked up about them…they shouldn’t be there. All they do is get kids all nervous and they dread them every time they have to take one. Not only that, but some teachers aren’t the nicest if you get nervous and mess up during a DBA, which makes it worse for the students and its hard for them to be comfortable. I feel like if certain teachers can’t have the patience to help kids during DBAs, then we should rethink the DBA assignments. Don’t get me wrong though, some of my teachers help me out a lot and make me feel so comfortable with asking for help if I don’t know something. But then on the other hand, some of my teachers ask questions that aren’t even in my notes and they get mad at me if I tell them I’m not sure about the question they asked. Overall, I think something that would help out is to make all the classes have DBA study guides, like some of my teachers do. It helps me out a lot on the DBA assignments and I feel a lot more comfortable with them. The study guides are just a list of questions that may be on the DBA or things tat we will go over during the call. In about…3 hours, I am due to take a DBA in math. It is my first one (in this course) and I am absolutely terrified. I have taken three DBA’s before this and to be honest, they were not that bad. The teachers were really nice and when I made a mistake, they would help me fix it. Despite these positive experiences, I still dread DBAs. Being someone that struggles with social anxiety and low self-esteem, these DBAs are absolute hell for me. I know that FLVS is trying to do good for the students, but these assessments are causing more harm than good. Every DBA I’ve had began the same way. Me, pacing the room I’m in, mumbling nonsense about how I’m going to fail and how I’m not ready. My hands shaking with anxiety and my eyes not daring to let go of the tears they’re holding in. I always get so nervous when I have a DBA that I can’t focus on anything else. The DBA today is at 12:30 and I looked up how to deal with these DBAs instead of doing my history assignment. I just can’s stop worrying about even though I still have time to study and prepare. I read comments that had the same opinion as me and it’s nice to know that I’m not just going insane. Phone calls, in general, make me really nervous. Having one with a teacher that is going to judge me on my answers, is just bone-chilling for me. Sorry to rant, but I just had to say something in hopes of a change. DBAs should be fit for all kids, not just the few that enjoy speaking to teachers and answering questions through a screen. Can I skip a dba and then go back to it? Hi there! This depends on the course and your progress or current pace. You typically need to complete assignments in order to move ahead and understand the material, but there is some flexibility! If you ask your teacher, they can answer this for you! That’s the problem. My teacher put off the dba for 2 days and kept telling me we would do it the next day. Now i’m a week behind because he led me to thinking I was going to do the dba the day I texted him about it. Has anyone ever been on their lesson while taking the DBA to get the answers? “review”, but how can I actually “review” when my instructor is nothing but rude and isn’t able to help me? We want our students to feel positive and encouraged by their interactions with their teachers. Please don’t hesitate to reach out to the Instructional Leader (their contact info will be on the teacher announcement page) to share this feedback so this can be addressed!